Schwarze-Robitec, the leading manufacturer of tube bending machines bids farewell its Sales Manager Jürgen Korte, who will retire at the end of April 2016. Along with this comes a new alignment from the bottom up that takes place throughout the entire management level of the company. A major objective is to expand the market position and be the first contact when it comes to tube bending solutions, even on an international platform. Jürgen Korte started as Design Manager in 1982 at Schwarze-Robitec, and in 1993 assumed the position of Sales Manager. After 34 years of service with the company, he is retiring at the end of April 2016. "For decades, I have been very passionate about everything I have done at Schwarze-Robitec – always with the knowledge to have a dedicated and dynamic team at my side. I am proud to see so many colleagues who want to celebrate my farewell with me. Needless to say, I shall stay in close contact with the company", says Jürgen Korte. 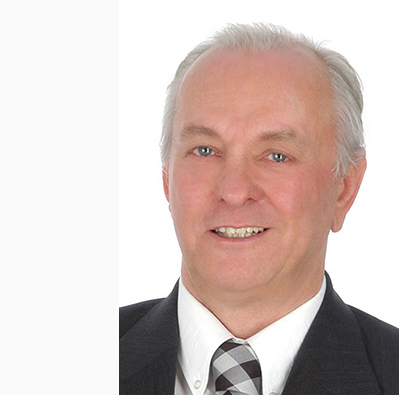 With the retirement of Jürgen Korte, Schwarze-Robitec is taking this opportunity to restructure its Sales Department. Heike Ahlers is the new Sales and Marketing Manager and functions as the extended arm of the company's management. Hired in 2013 by Schwarze-Robitec, she was significantly involved in 2015 with the opening of the current subsidiary in the USA. The objective of the restructuring is to ensure, the company can adapt to the ever faster changing international markets over the long term. "When it comes to tube bending solutions, Schwarze-Robitec has the leading edge in Europe. In the future we will increase our sales activities beyond Europe and thus raise our high profile worldwide,” commented Bert Zorn, Managing Director of Schwarze-Robitec.